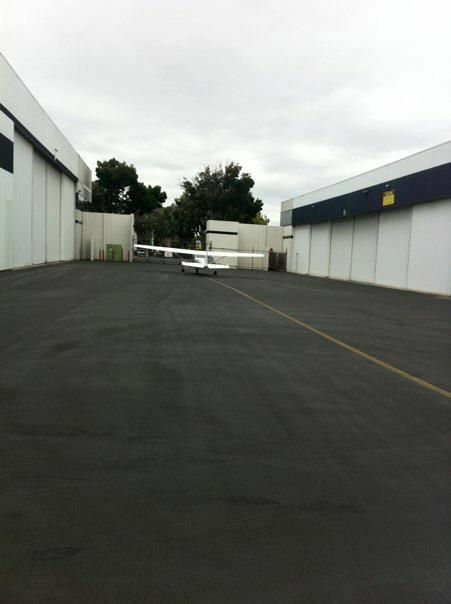 On Sunday, September 25, 2011, we loaded up the 182RG for a FLIT to San Jose (2 pilots, 1 passenger, and me). 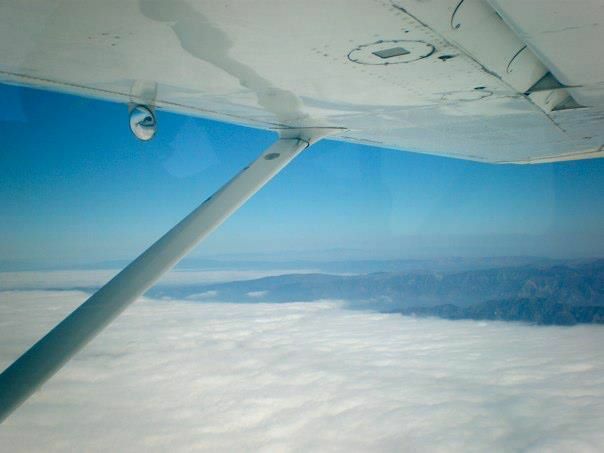 The morning dawned cool and overcast, so ALO loged his first 0.1 hour of actual IFR climbing through the clouds to VFR on top. Clouds blanketed the LA Basin, but it was beautifully clear above and beyond the mountains; the coast began to break out occasionally around Santa Barbara. Overall, the traffic and chatter was light and as we settled into cruise at 8500. We had time to try out the autopilot, use the JPI to assist in leaning, and experiment with some of the lesser-used features of the Garmin 430. 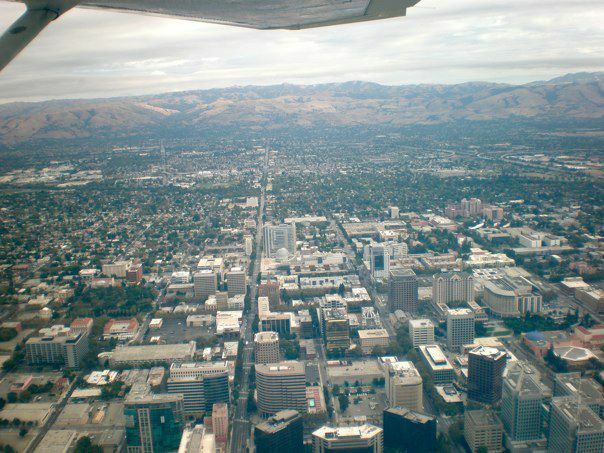 Final approach brings you right by downtown San Jose. 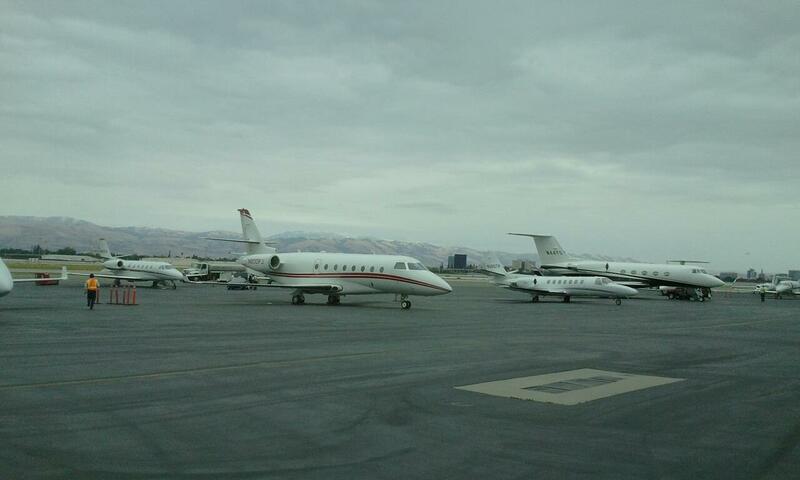 About 10 minutes after landing, we had a rental car, and were on our way. We had a great lunch at the Los Gatos Brewing Company (a bit of waste, since two of us couldn’t drink and the others didn’t, but good food anyway). 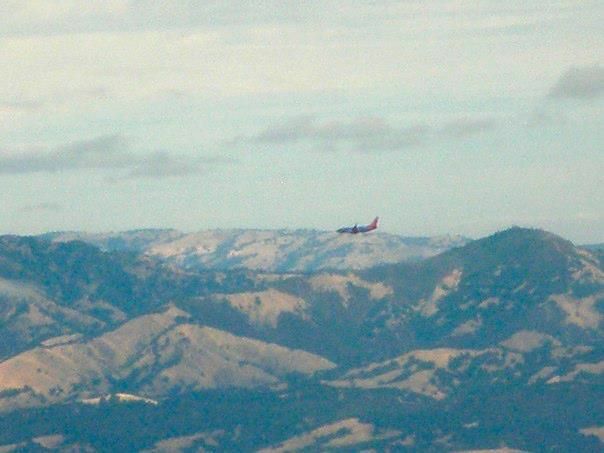 We were a little tight on time, as a TFR for the president’s visit to the Bay Area started at 1630 local; we needed to be well away from SJC by that time. 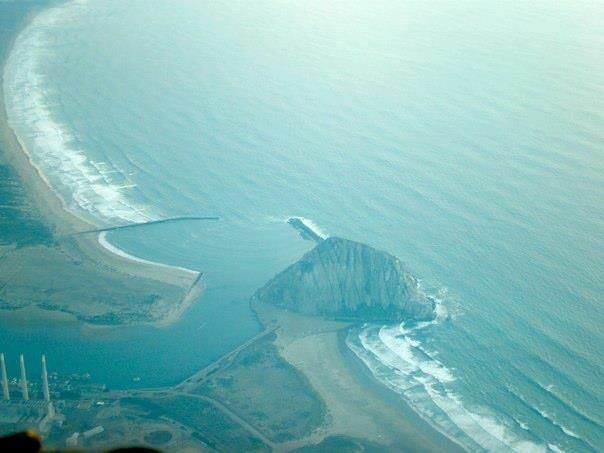 SG preflighted for his first flight in the 182RG and we were wheels up around 1600 en route to Monterey (KMRY). 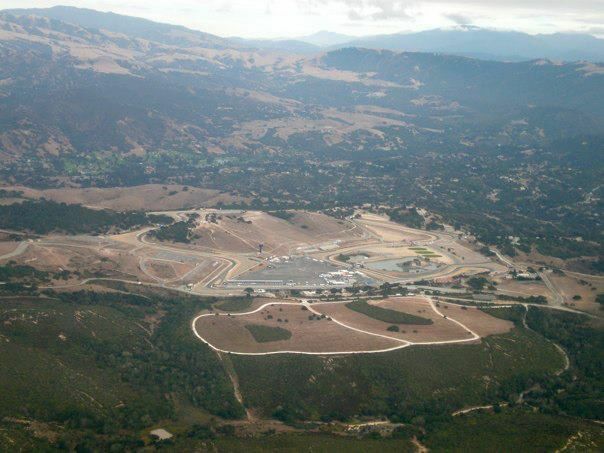 On approach to Monterey, we had a good view of the Laguna Seca Raceway. We had worried about clouds and fog along the coast, but this part of the trip was clear as we flew right over Pebble Beach and past Carmel and Big Sur. 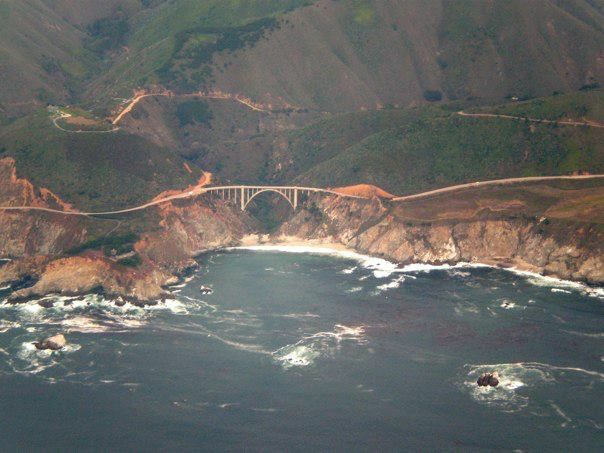 Here’s one of the iconic bridges along the Big Sur coast (I think this is the Bixby Creek bridge). The final trip was around 650nm. 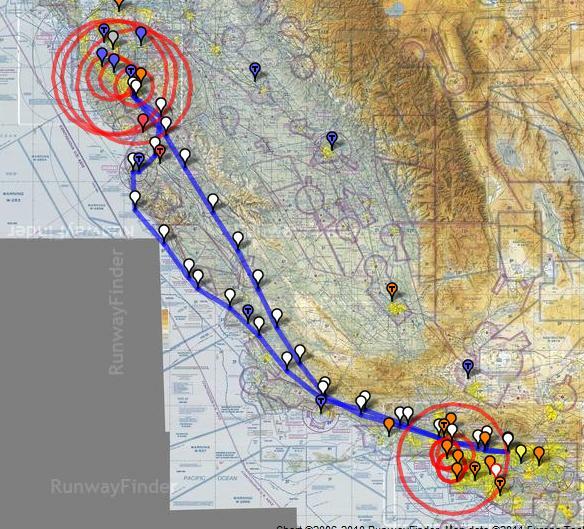 Here’s an over of the route we flew (or click on the picture). 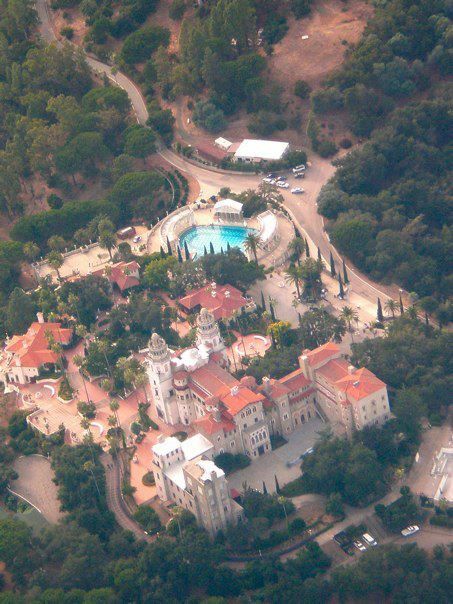 Thanks to ALO and RS for many of the pictures. 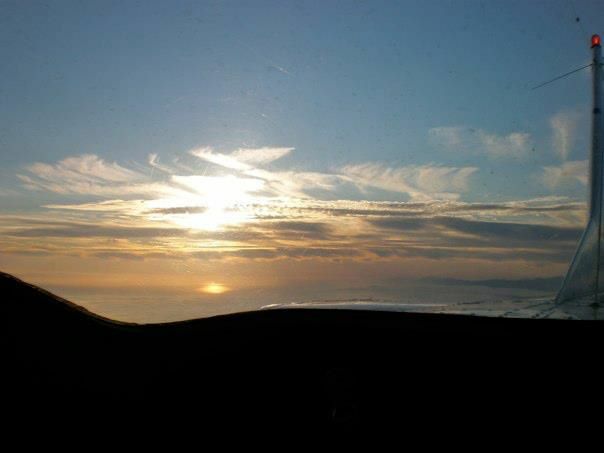 This entry was posted in FLIT and tagged Trip Report by dgwerntz. Bookmark the permalink. Sounds like a wonderful trip! Ive driven it many times and look forward to one day flying it in a small plane!